A stay at The Westin Melbourne places you in the heart of Melbourne, steps from Regent Theatre and Flinders Lane. This 5-star hotel is 0.2 mi (0.4 km) from Bourke Street Mall and 0.2 mi (0.4 km) from Federation Square. In addition to a 20-meter indoor lap pool and a bubble pool, The Westin Melbourne also has a fitness center with a sauna. Dining is available in the hotel's Allegro restaurant and guests can enjoy a light lunch, afternoon tea or drink in the Lobby Lounge. A computer station is located on site and WiFi access is complimentary in public areas. 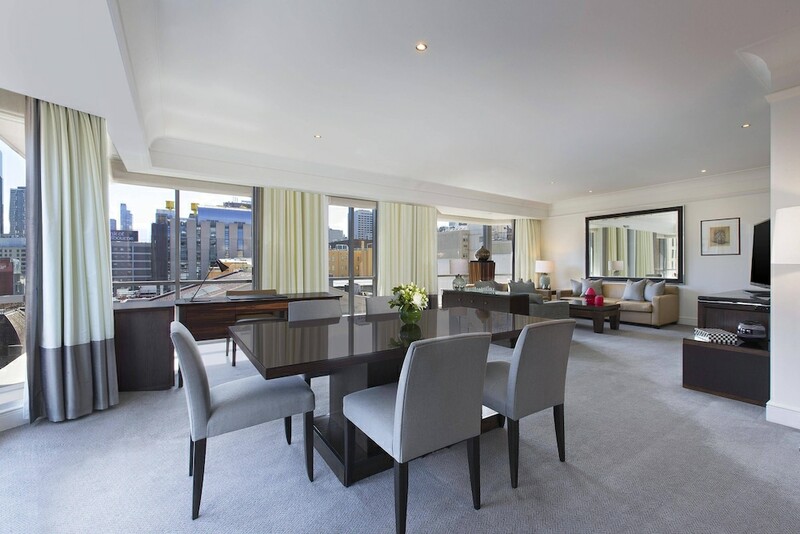 This 5-star property offers meeting rooms. Event facilities measure 5595 square feet (520 square meters). Valet parking is available onsite for a surcharge. The Westin Melbourne is a smoke-free property. Allegro - Onsite restaurant. Guests can order drinks at the bar and enjoy alfresco dining (weather permitting). Lobby Lounge - This lounge bar serves light fare only. Recreational facilities at The Westin Melbourne include a 20-meter heated indoor lap pool, bubble pool, a sauna, and a steam room. The onsite fitness center is open 24-hours. The property has connecting/adjoining rooms, which are subject to availability and can be requested by contacting the property using the number on the booking confirmation. Construction is underway at a neighboring building and there may be noise disturbance from the construction work.